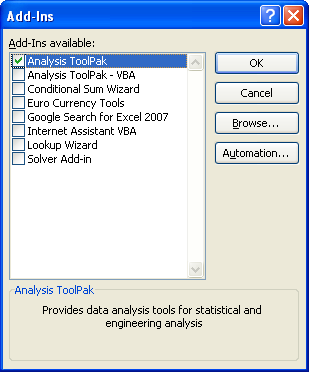 The Analysis Toolpak add-in for Excel includes a collection of 19 data-analysis tools designed to save steps when users develop complex statistical or engineering analyses. Users provide the data and parameters for each analysis; the tool applies the appropriate statistical or engineering macro functions, and then displays the results in a same or separate worksheet or workbook. It is mainly used for these analysis : Descriptive Statistics, Hypothesis Testing, Regression and Correlation, Time Series Forecasting. In the dialog box appeared on the screen Select Analysis ToolPak and then press OK button. 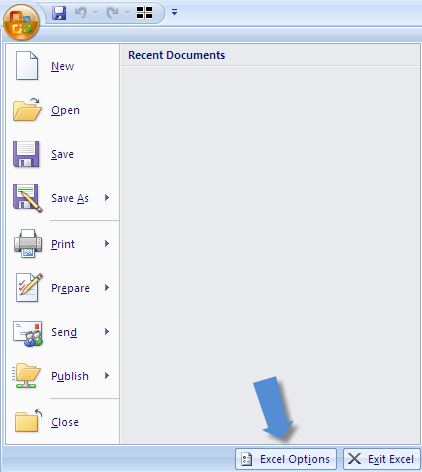 After completing the above steps , you will see Data Analysis in Data menu. 1 Response to "Install Analysis ToolPak Add-In"
At step 2, I get "eviews add-in for excel 2007" under active application add ins. 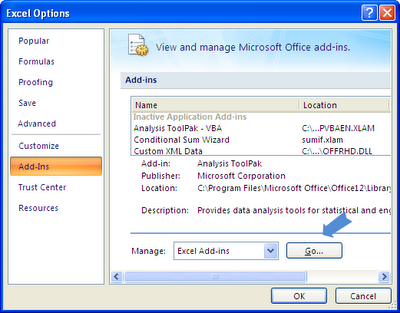 Thats why I cannot install the analysis toolpack, and thats why i failed to get data analysis- how do I solve it?